16 inch, 12 speed gear head engine lathe, American made by Porter McLeod. It has a quick change gear box, taper attachment, three jaw chuck four jaw chuck, faceplate, steady rest and an Aloris tool post with two tool holders. 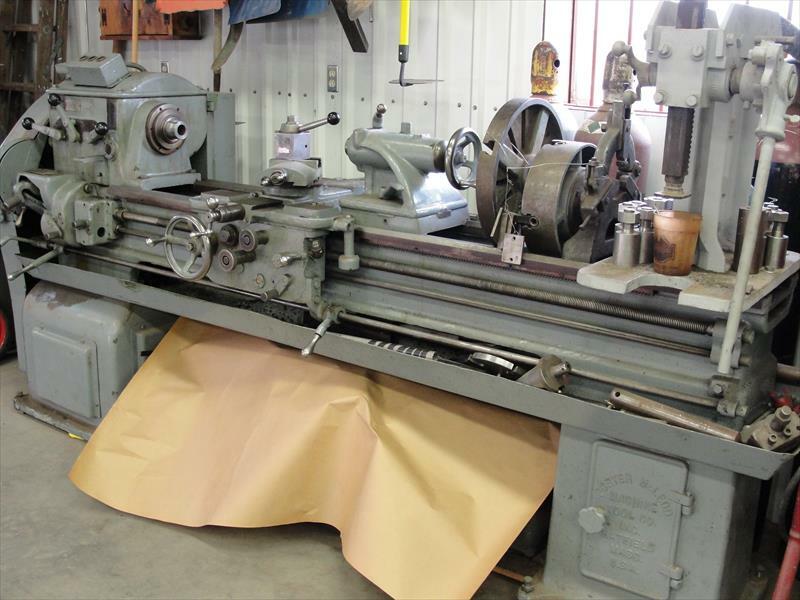 This lathe is in excellent condition. Operating on three phase, but I have a 5 hp single phase motor I will sell for $250 additional if you need single phase.